Joining Hallie (and Jen) this week for the first time ever. Hallie, by the time you read this, I hope you have a baby in your arms! And Many Happy Returns! 1. Lockitron- Lock and unlock your door using your phone? Get notifications if someone else has unlocked your door? Where are we, the Starship Enterprise? Having a recent heightened interest in home security, this really caught my eye. Of course, it could make losing your phone that much more of a hassle, and you could probably buy an alarm system for the cost of buying one for each door in your home, but this is still really cool. And if you watch the video, know that the guy in the blue shirt makes me smile. 2. 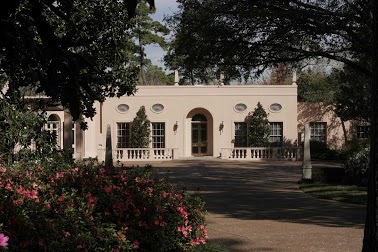 Rienzi House, Houston- I went here with a friend today. Houston is a very young city with pockets of old money. This house, which was donated to the Museum of Fine Art, is one such pocket. the original family designed it in the 1950's with displaying their art collection in mind. The museum now maintains that collection and has added to it. Fun fact, the daughter of the family married in the Catholic church and had eight kids, seven of home live on the same street in Houston. Cousin heaven! Visiting this home made me simultaneously appreciate the beauty of the home and its art, realize the impracticality of living in a home that doubles as a museum to your art collection, and recognize how far I am from ever rubbing elbows with "old money." But I'm ok with that. Doesn't it look a tiny bit like Longbourne? 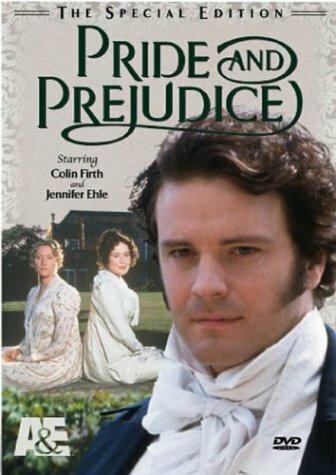 You know the Bennett family home in the only Pride and Prejudice film whose existence I acknowledge. 3. 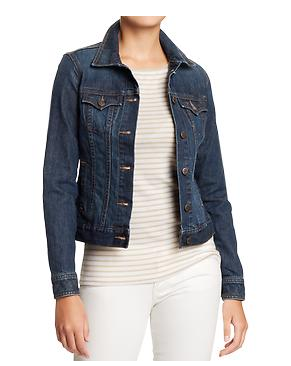 Old Navy Denim Jacket- How did I live so long without this staple. Houston, please hold onto spring a little bit longer because I love wearing it! But why oh why don't you have pockets? 4. 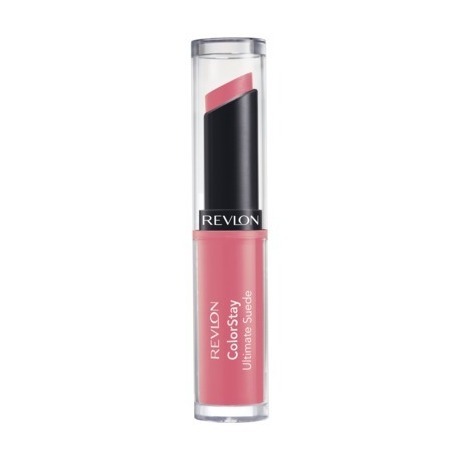 Revlon Colorstay Ultimate Suede Lipstick- After reading this review of it on The Small Things Blog, I decided to give this long wear color a try. It goes on smooth, then goes through a sticky phase where I don't recommend smooshing your lips together, and then sets to a matte shade of the original glossy color. While the color does last for hours, but I made the mistake of thinking that since I have similar coloring to Kate of Small Things, I got the two lighter colors she reviewed. They didn't really work for me, but if my grocery still has the $2 off Revlon products coupon, I think I'll give it a try in the color pictured about, "It Girl." 5. Smoothie King- Some people join gyms for New Year's. Mark and I joined one the day after Easter. And signed up for a personal trainer to boot. Hopefully, that price tag will keep us motivated the whole year through. Our first session was today and the anxiety I experienced beforehand was eerily similar to pre-confession anxiety. But it went great. Our trainer wasn't too peppy, did nothing to make us feel terrible about our past choices, but did work us hard. I wanted to die after the first 5 minutes. But now, I'm basking in that post work-out glow that only a smoothie can make better. Don't worry, it was dinner. We didn't just undo all that good work. In other news, it had been so long since I last pushed myself that hard that I completely forgot I have exercise-induced asthma. I know that sounds made up but it's a real thing! Time to find that inhaler.